When Martin Luther King was assassinated in April 1968, he died a truly great American, but he is much more than that today. Fifty years on he is now a global figure who inspires people everywhere to embrace equality. And today, new generations are being told of his outstanding contribution to making the world a better place. Annually the USA celebrates Martin Luther King Day as a federal holiday on the third Monday of January. This takes place around Dr King’s birthday (January 15th). Streets and highways have been named after him in many cities; his face can be found on postage stamps in different countries; and there are several statues and memorials dedicated to his memory. The words of Dr King are often quoted, especially his famous ‘I Have a Dream’ speech given on the National Mall in Washington, DC and many quotable quotes are attributed to him. It is clear that Martin Luther King is a dearly loved figure throughout the world and especially in Great Britain. 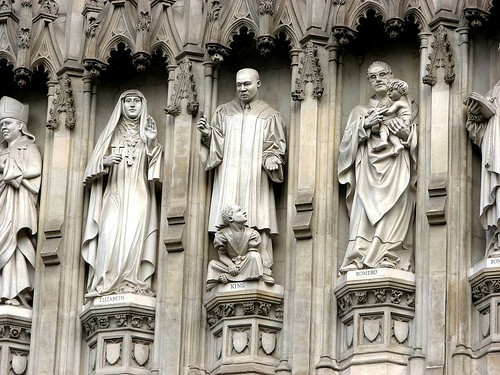 30 years after his death a statue of Dr King was unveiled at Westminster Abbey in London in July 1998 and stands above the west entrance to the Abbey. In 2017 the city of Newcastle held a year-long celebration of Dr King’s life, known as Freedom City. The project brought together international artists, musicians, filmmakers, academics and community groups to inspire a new generation to help tackle the issues Dr King fought against. 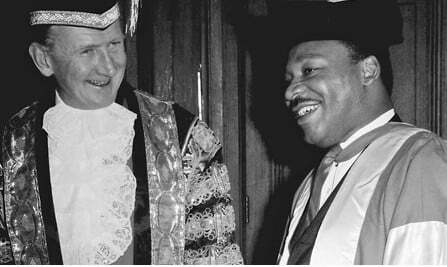 British author, Brian Ward wrote about Dr King’s visit to the UK in his book entitled ‘Martin Luther King in Newcastle Upon Tyne’. Published as part of the Freedom City Celebrations, it contains valuable insights into Dr King’s life previously unpublished. These are still huge issues today, which many Christian leaders here in the UK are concerned about. One such leader is Dr Krish Kandiah, formerly with the London School of Theology and now an author and social activist. “Martin Luther King’s dream for racial justice is needed now as much as ever. We must speak up,” said Dr Kandiah. This example of non violence is one we can all follow, especially people of faith who know the depth of God’s love for all people. Despite the rise of secular humanism in the UK, it’s encouraging that people still recognise the importance of Dr King’s faith as the underlying driving force that propelled him to accomplish all he did, albeit in a short space of time. Brian Ward’s book, Martin Luther King: In Newcastle Upon Tyne: The African American Freedom Struggle and Race Relations in the North East of England is available on Amazon.